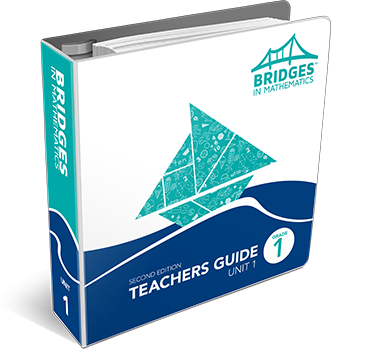 Learn more about Bridges Grade 1. 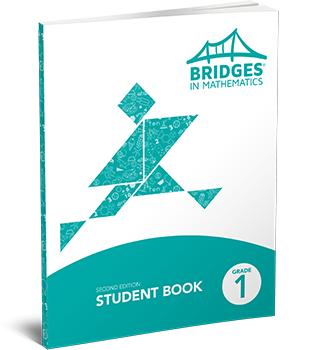 The Bridges Grade 1 Student Book provides all the pages students need to participate in whole-group investigations and games. The homework assignments in the Grade 1 Home Connections books provide practice and reinforcement that encourage families to actively participate in their student’s math education. 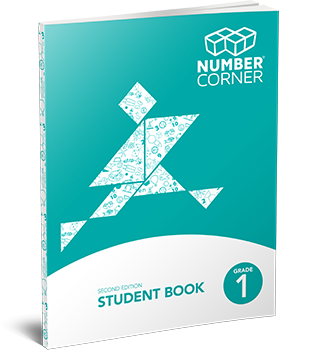 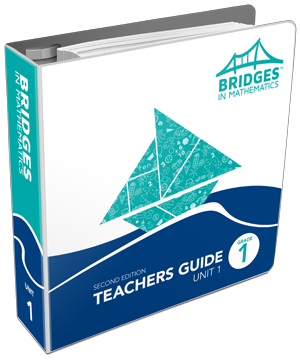 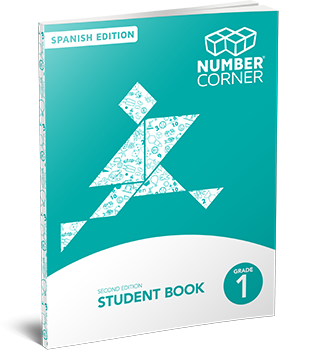 This upgrade kit contains all the materials needed to complete a Bridges Grade 1, 2nd Edition classroom package for current users of Number Corner 2nd Edition. 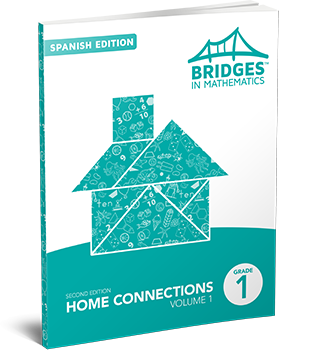 Orders are limited to previous purchase quantities and require verification of previous purchase. 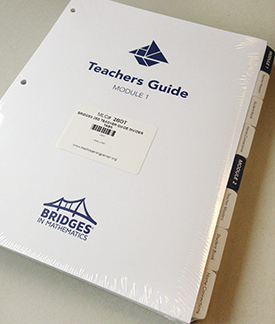 For more information, view the full Bridges Grade 1 Package. 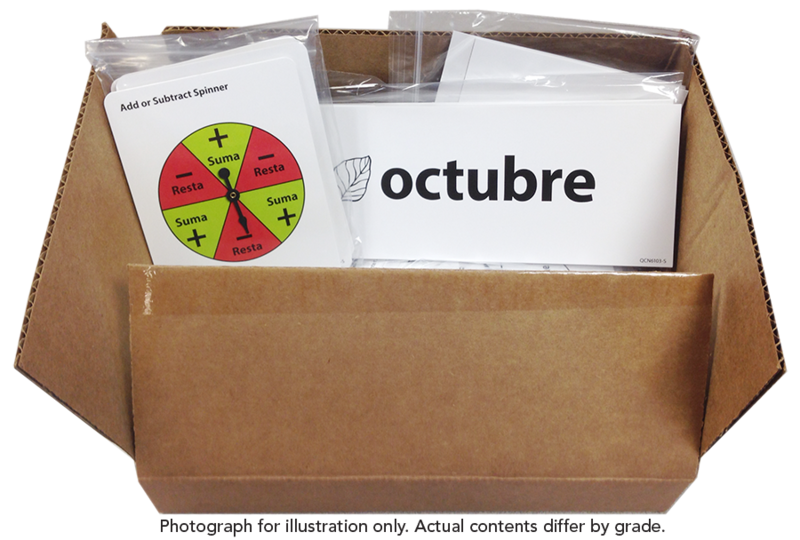 Contains Spanish versions of the game boards, card decks, spinners, and calendar markers that require translation. 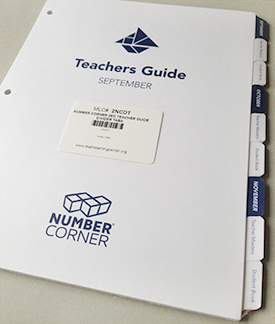 Does not include those components without text or those displaying only numbers. Intended only for use with a full Bridges Grade 1 Package.